CalcTape : Calculate. Comment. Correct. CalcTape makes the arithmetic process visible – you can do multiple calculations and subsequently correct or change all numbers and operations. Input a long list of values to be calculated and never lose the overview – just like with an adding machine with a paper tape. You can use intermediate results to structure and to check your results. If you should later change individual mathematical expressions, then the complete calculation is automatically updated. Easily perform percent calculations for TAX and discounts. Input comments on single items and results and add notes wherever you want. 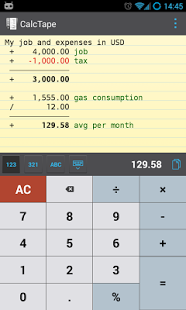 CalcTape Paper Tape Calculator is free and your ideal companion for office and personal calculations – everyday. If you find any problem feel free to contact us. You can help us improving CalcTape Smart Calculator by stating your Android version and smartphone model. Pretty good calculator with tape Good app but missing ability to quickly clear line entry or to clear entire tape. 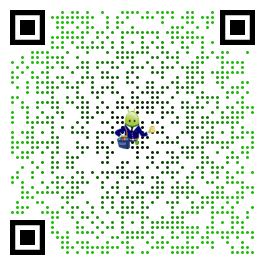 Finally on Android! I was a big fan on this software on Windows CE. and it is finally on Android! There is nothing like this on the market: tape calculator with the ability to edit every entry on the fly! It even follows the order of operations: 2+ 3*4=14 not 20 which is one of the few calculators to get this right. And you can’t beat the price. Must download! 5 stars. This is the calculator app I needed badly! Best for me. Stock calculator is sufficient what a calculator user need(99% don’t need history). In same case you need to copy whole and share..here I can do that.